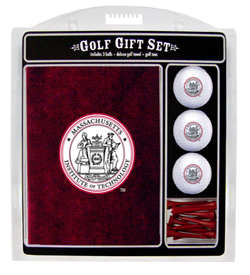 Put some team spirit into your golf game with this MIT embroidered towel gift set. This set includes a tri-fold towel, three regulation golf balls and 12 tees. 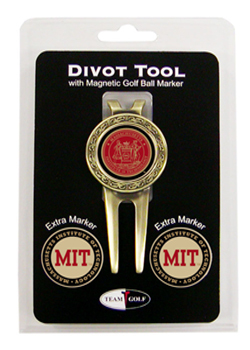 With embroidered team graphics on the towel, a team logo imprint on each ball and team-colored tees, you will let everyone know that you are a true MIT fan.